Reception classes have had a very busy start to the Summer Term. So far children have been engaged in planting activities and learning more about the world around them digging for mini beasts in the outdoor area. The new mud kitchen outside has been a big hit and children have been busy making amazing recipes each day! We have recently changed our outdoor role-play from a post office to a flower shop. This has been very useful in helping us engage in more practical play with money and using the language of money. The focus for Reception children this term will be on reading and writing to ensure they are ready for Year 1. Children are reading every day with their teachers in a small group. Please remember to read with them at home too. Children have also been engaged in extended pieces of writing from different genre including stories, letters and descriptions. Encourage them to write about things that interest them at home and bring these into school to share with their teachers. In Summer 1 Reception Classes will be looking forward to the year group Assemblies starting. Blue class will kick start the assemblies this half term on Thursday 24th of May. Please come along and support the children as they would have been busy practising all their songs and refining their acting skills. The Reception classes will finish off this half term with a picnic in the park. More information to follow in the upcoming weeks. This term in the EYFS we have been very excited about having the chicks. In Nursery and Reception we have watched the chicks grow, help to care for them and some of us have even had the opportunity to hold them. Children in reception have learnt about the chicken life cycle and now understands that chickens come from eggs! 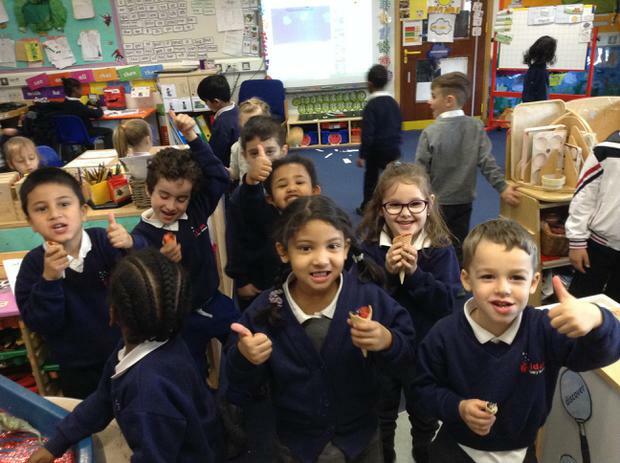 Orange class have enjoyed reading the story 'Oliver's fruit salad'. 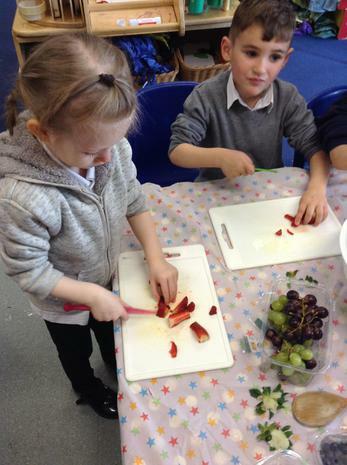 We made delicious fruit salad in ice creams cones! 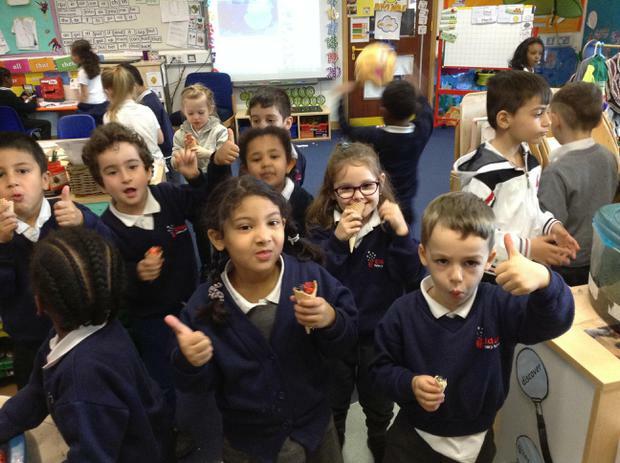 We talked about the different tastes of the fruit and our favourites- some were sweet and some were sour! 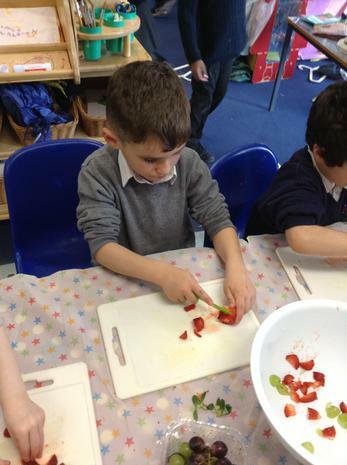 We chose which fruit we wanted to put in our cone and had lots of fun chopping them up. They were delicious and healthy! We are all finally in and is beginning to settle in our new classrooms. There is so much to get used and some of our children are finally in school for a whole school day and are getting to grips with a new daily routine. This week is our very first full week in school! It is very tiring being in school all day, so much to take in, so much to do but we are very excited to have started. 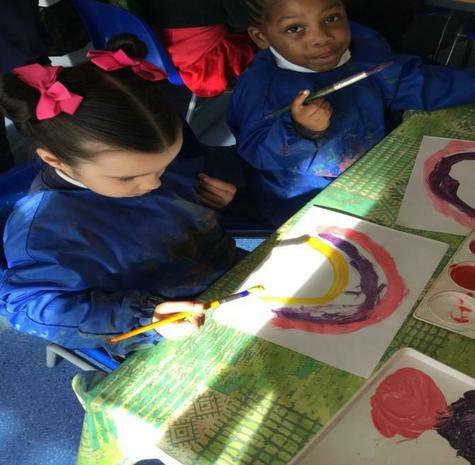 In our new classes we have been exploring different areas and doing lots of different activities to help us with settling in and not miss home too much. 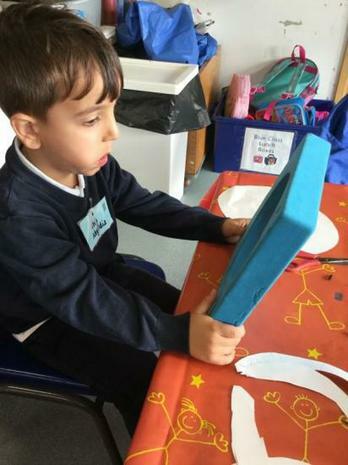 In Blue class we are making family portraits and pictures of our faces. In Green Class we love playing with our computer. We like to play maths games! We have been practising our turn taking with this. Sometimes a bit tricky for some of us. 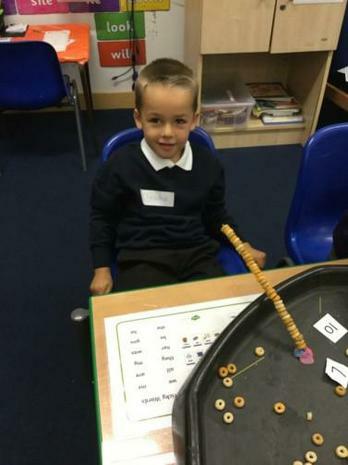 ​This week Orange Class have been practicing our counting using cheerios! So many different ways to enjoy a breakfast cereal, Yum! 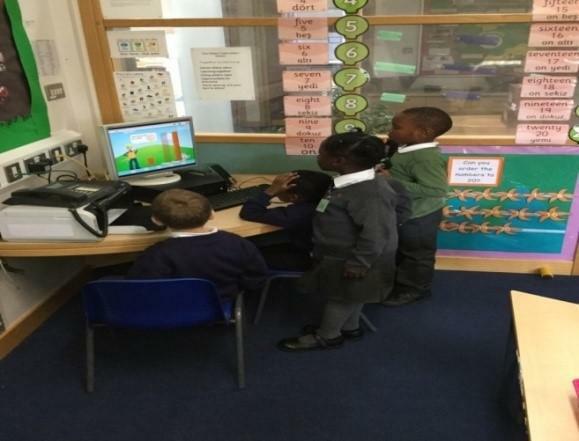 In Red Class the children are settling in nicely into a school routine. We have set our class promises and are working hard to reach onto the star. We enjoy engaging in various activities in class and outside. The children have been reading; ‘Owl babies’ this week. 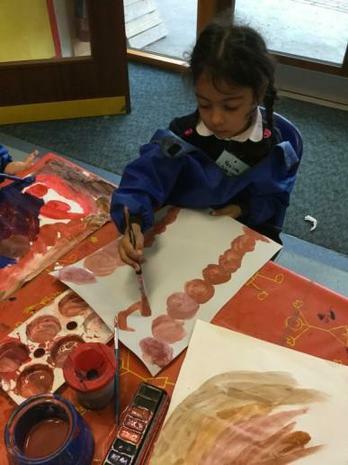 Some children have also shown interest in mixing colours together. 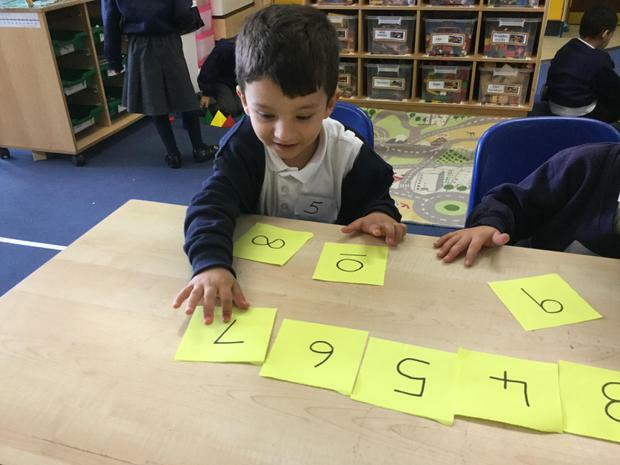 In Yellow Class we are sequencing our numbers and learning to write them!